This is the third post about the "Quadrupeds" series and its source prints. 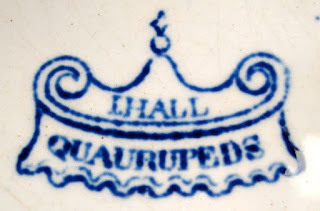 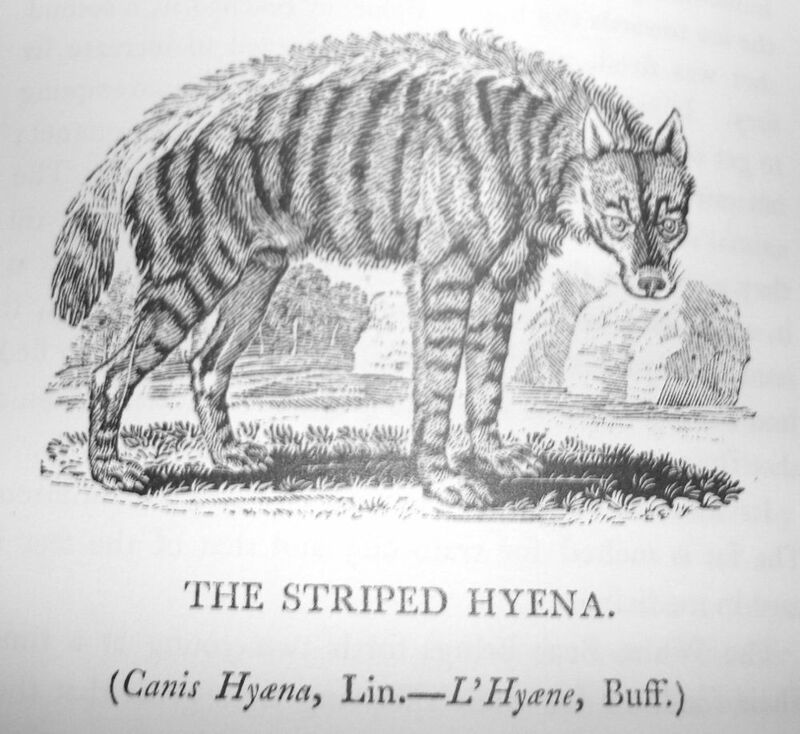 The first two posts illustrate patterns that were copied from the books of natural history by John Church http://dishynews.blogspot.com/2013/05/quadrupeds-and-source-prints.html and Samuel Howitt http://dishynews.blogspot.com/2013/05/quadrupeds-and-aesops-fables.html. 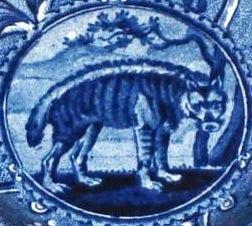 This post shows one of the patterns copied from Thomas Bewick's book "A General History of Quadrupeds (1790)." The animal is a striped hyena. 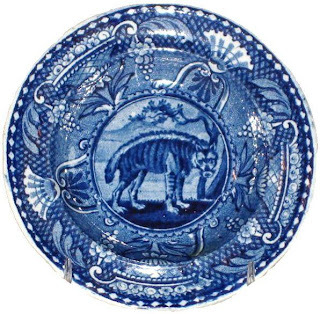 It appears on the 4 inch cup plate which isn't big enough to include animals in the border.